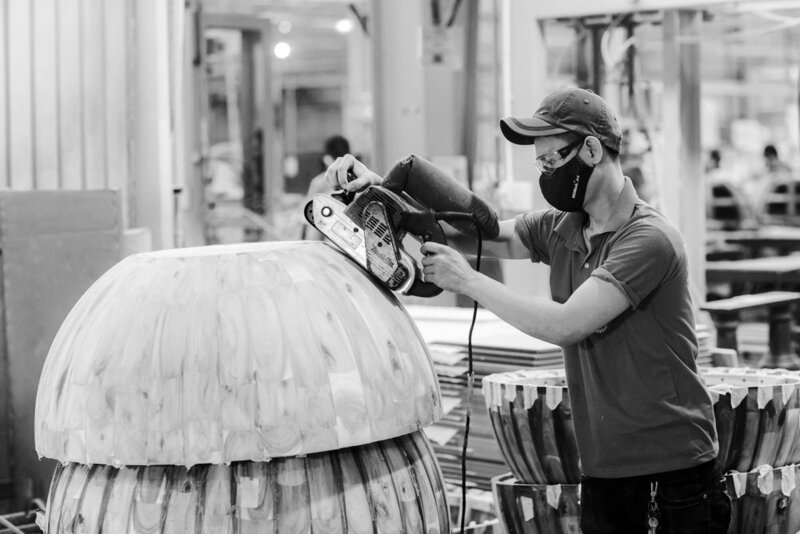 OUR TEAM EMPLOYS BOTH TIME-HONORED TECHNIQUES AND CUTTING EDGE TECHNOLOGY TO ENSURE EVERY DESIGN IS BROUGHT TO LIFE WITH EXQUISITE CRAFTSMANSHIP, INFUSED WITH RICH NARRATIVES, AND UPHOLDS A COMMITMENT TO QUALITY, INNOVATION AND DESIGN. Sand casting produces metal parts from a sand mold or pattern. 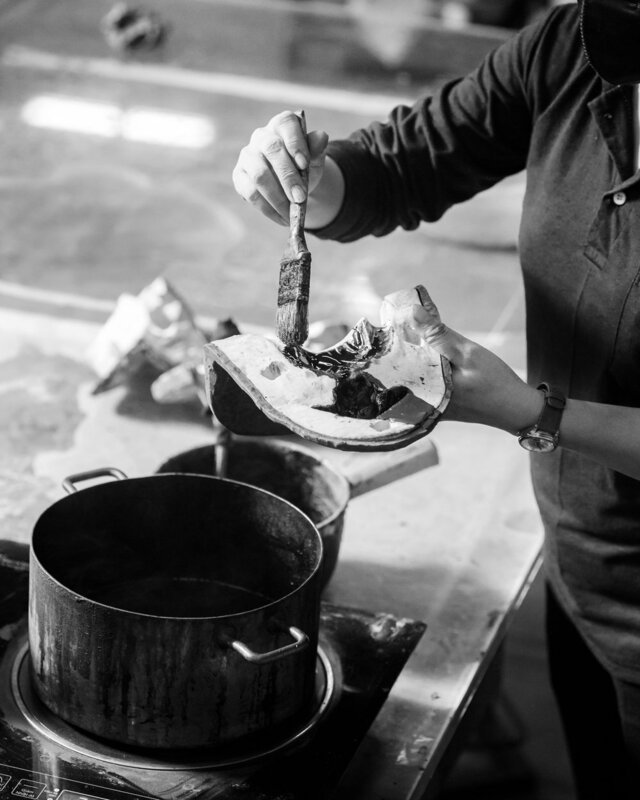 Our skilled pattern makers create a design, which is placed into a mixture of sand and clay, before pressure is applied. The pattern is then removed, leaving a cavity in the sand into which molten metal is poured. When the metal cools and solidifies, it produces an exact replica of the original pattern. Abrasive blasting is traditionally used to smooth rough surfaces, add texture to plain surfaces, and to carve or shape materials. The process involves a stream of abrasive material (such as sand or metallic beads) which is propelled against a surface under high pressure. 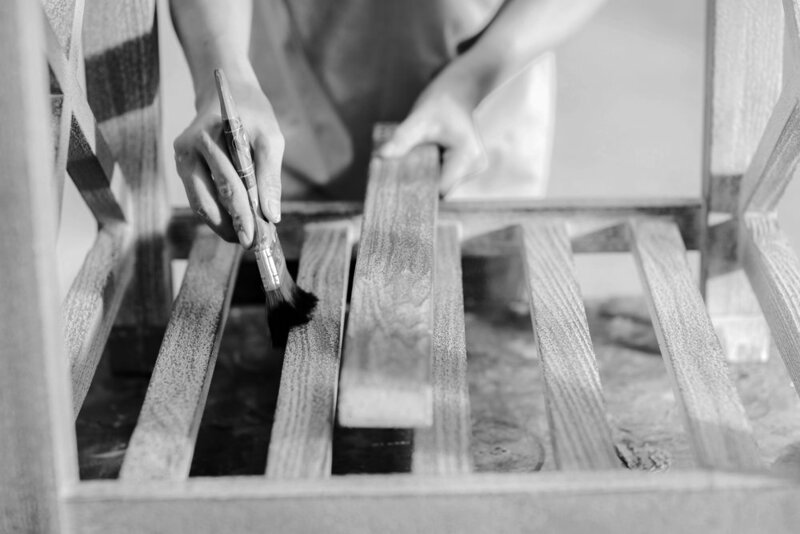 We use this blasting technique to create an aged or distressed finish on our wooden pieces. Benchmade pieces are made by hand; painstakingly created one at a time by a single master craftsman, traditionally on a carpenter’s bench. This technique produces pieces that are unique, meticulously finished, and heirloom-like, built to stand the test of time. Marquetry is an age-old technique that uses inlaid materials to create decorative patterns. Thin pieces of wood, marble, metal, bone or shells are cut to shape and inlaid into a wooden veneer, and then applied to a base. 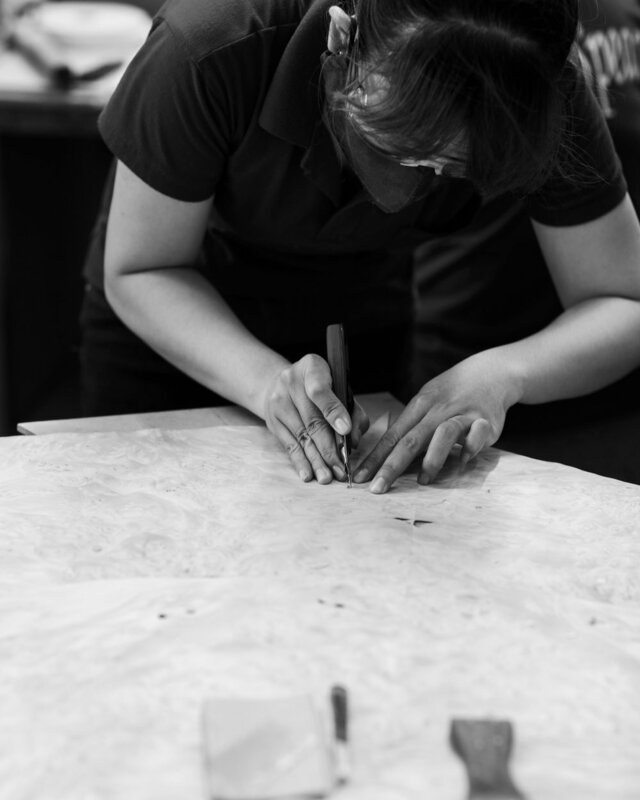 Our craftsmen follow a multi-step finishing process, which is integral to the integrity and overall quality of a piece. It is a time consuming process which may involve a combination of toning, staining, glazing, sealing, and lacquering. The result is furniture that is more durable, richer, consistent in colour, and more impressive overall. accurate in replicating complex shapes and details. From the French term meaning “gilded glass”, Verre Eglomise describes the delicate process in which the rear surface of glass is applied with thin sheets of gold or silver leaf. These sheets are cut to various shapes and sizes, and then applied to the glass to produce the desired decorative pattern.